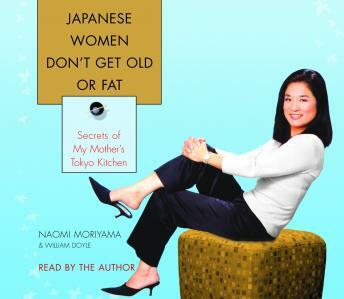 As a young girl living in Tokyo, Naomi Moriyama grew up in the food utopia of the world, where fresh, simple, wholesome fare is prized as one of the greatest joys of life. She also spent much time basking in that other great center of Japanese food culture: her mother Chizuko's Tokyo kitchen. Now she brings the traditional secrets of her mother's kitchen to you in a book that embodies the perfect marriage of nature and culinary wisdom–Japanese home-style cooking. If you think you've eaten Japanese food, you haven't tasted anything yet. Japanese home-style cooking isn't just about sushi and raw fish but good, old-fashioned everyday-Japanese-mom's cooking that's stood the test of time–and waistlines–for decades. Reflected in this unique way of cooking are the age-old traditional values of family and the abiding Japanese love of simplicity, nature, and good health. It's the kind of food that millions of Japanese women like Naomi eat every day to stay healthy, slim, and youthful while pursuing an energetic, successful, on-the-go lifestyle. Even better, it's fast, it's easy, and you can start with something as simple as introducing brown rice to your diet. You'll begin feeling the benefits that keep Japanese women among the youngest-looking in the world after your very next meal! If you're tired of counting calories, counting carbs, and counting on being disappointed with diets that don't work and don't satisfy, it's time to discover one of the best-kept and most delicious secrets for a healthier, slimmer, and long-living lifestyle. It's time to discover the Japanese fountain of youth….